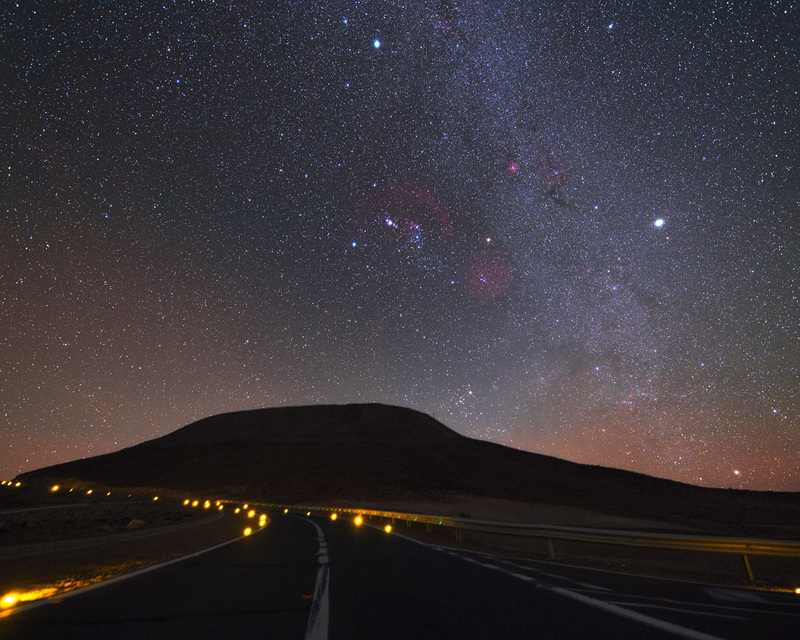 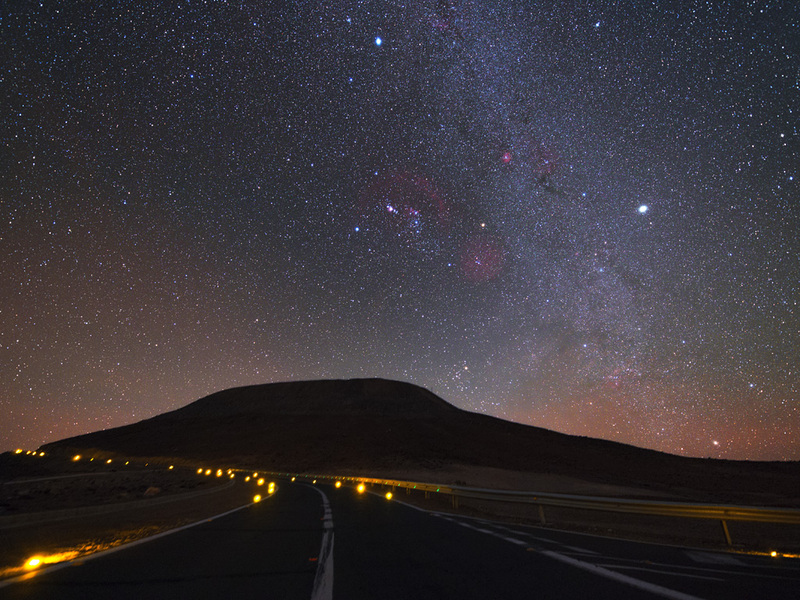 Driving through the dark night at the road leading from the Residencia Hotel up to the top of Cerro Paranal, location of the VLT, is a challenging task. No lights besides parking lights are allowed for cars after sunset on the curved road. 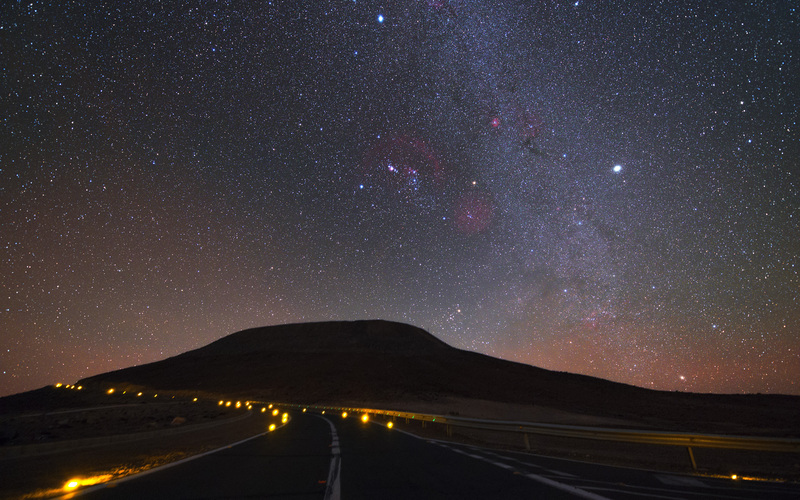 In the centre of the image, the constellation of Orion is clearly visible.